The six Emmy awards winner Steve Savard is an anchor for the weeknight newscasts on News 4. He became News 4's Sports Director back in 1994. Later on, after almost a decade of working as a sports director, in February of 2013, he made a move to the anchor chair. He served as the radio play-by-play voice of the St. Louis Rams from 2000 - 2015. He has also served many years as the Honorary Chair for the St. Louis Crisis Nursery Charity Golf Tournament. Currently, he serves on the Board of Directors for Greater St. Louis Honor Flight and on the Board of Governors for the Tom Lombardo Chapter of the National Football Foundation. Steve grew up with his parents along with his two siblings. Growing up, he was very close to his mother, Elizabeth Vincentia Nelson Savard (also known as Betty). As a kid, at the age of 8, Steve played for the Westco Vikings for old Parkway North Junior High. Later on, he played football for 17 years from the age of 7 to 24. But little did he know that the same home field where he spent seven years of his life playing football for Westco football, growing up he would work at the same ground as a reporter. Although no one knows the age of the news reporter Steve, according to KMOV, attended Parkway North High School and later on graduated from the Northwest Missouri State University. He also graduated from the Broadcast Center in preparation for a career in TV news. 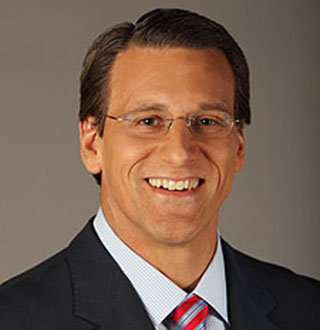 Steve, a native of St. Louisan, returned to his hometown in 1994 according to KMOV to become a sports director and work for KMOV. Before that, where he was or what he was doing is not mentioned anywhere. Steve came into media because of his brother who was a TV weathercaster in Joplin. His brother encouraged him to get into the business, and today he is one of the most successful reporters from KMOV. For more than two decades, he has been working for KMOV. While KMOV employees earn an average of $77,530, ranging from $56,864 to $92,703, with top earners making more than $115,507, we assume his average salary runs in $115,507 per month. However, his exact estimated net worth is not mentioned anywhere. Today, Steve is a married man who is living a fulfilling life with his wife, Jennifer, and stepsons, David and Brett. Besides showing up at work on a daily basis, he doesn't hesitate to take a break from work and take his family to vacations along with his two dogs. The love, support, guidance, and an example of strength through adversity given by his mother at an early age made him understand the value of family.